Asteroid 2018 VX1 was discovered by a telescope at the Mount Lemmon Survey in Tucson, Ariz., on Nov. 4. 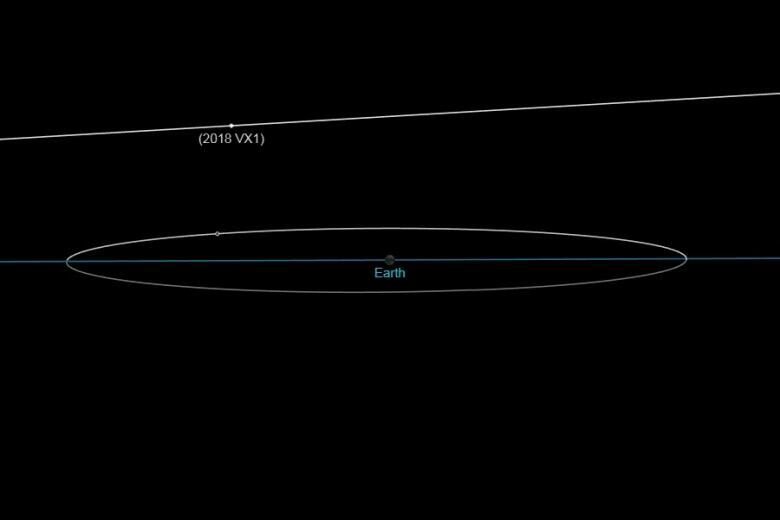 The asteroid will pass within roughly 381,000 kilometres of Earth. That is three kilometres closer than the moon’s average distance from our planet.